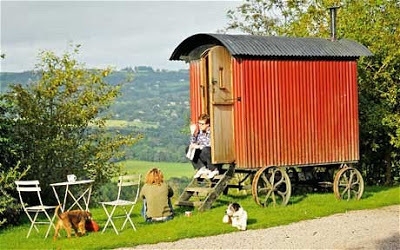 A Sheep Wagon as a Kids Fort/Playhouse? 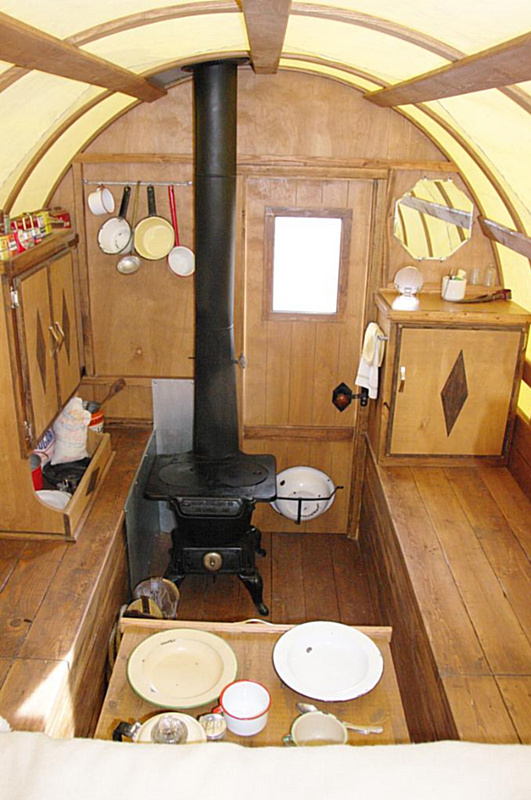 I've been a little obsessed with the idea of these sheep wagons (more or less gypsy wagons/vardos) as of lately- they're mobile, simple, and could be built very affordably. The idea also hit me: Why not make one in a kid-sized format? -Tinier wheels (recycled bicycle tires? ), and plastic poly roofing as the siding, and the rest would follow. Check out some of the pinterest galleries on these things- addicting! 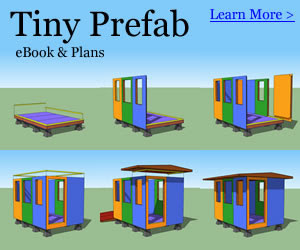 Below is a link to MY tiny house and kid's fort book....check it out- ONLY $11.53 NEW! This one's pretty unique, to say the least. 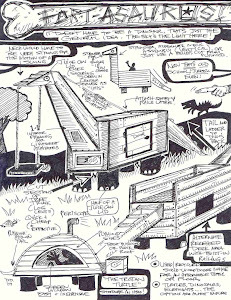 These are the type of forts of playhouses that I often find myself drawn to because of the way they meld shelter with world of art- its "living art" in a sense. 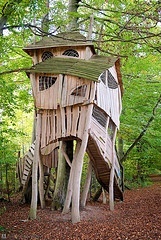 Yeah, this one was built as a kids play space in the form of a tree house, but the idea and look could be carried on into "adult" living as well- why not? Very funky! File under: leave your carpenter's level at home. 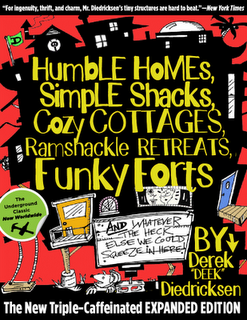 Derek "Deek" Diedricksen runs the blogs Relaxshacks.com, and FortaDay.com, Hosts "Tiny Yellow House" TV on youtube, and is author of the tiny house, fort, cabin, treehouse, and cottage design book "Humble Homes, Simple Shacks" which you can check out by clicking HERE. Another simple one here, but it works so well. 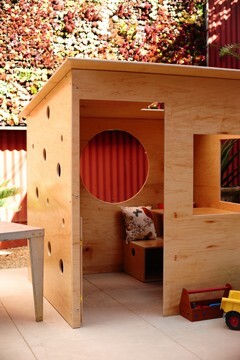 Build-wise, its super simple, just a few cuts with a jigsaw or circular saw for the door and windows, a multitude of hole-saw cuts for the little peek holes, and that's almost all their is to it. This little indoor fort/clubhouse even has a tiny little skylight! 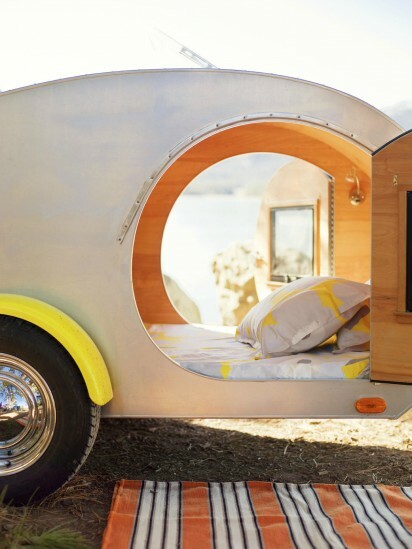 Tiny teardrop trailer forts for kids? 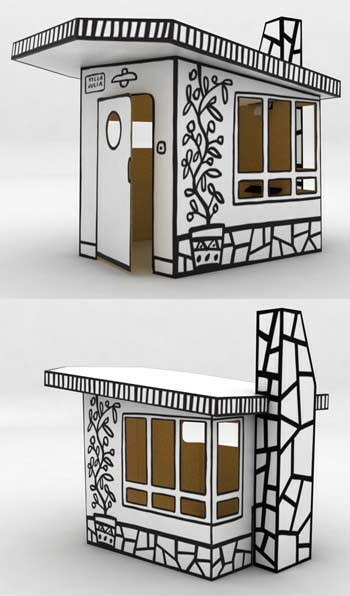 It comes as a foldable/assembly-required kit.....how friggin' clever is this? Some great, thick-lined, art too! This one's called "The Villa Julia".